The bottom panel is used for fixing at the bottom of the cabinets to cut off the airflow and dust outside and preventing damage to the internal facilities of the cabinets. 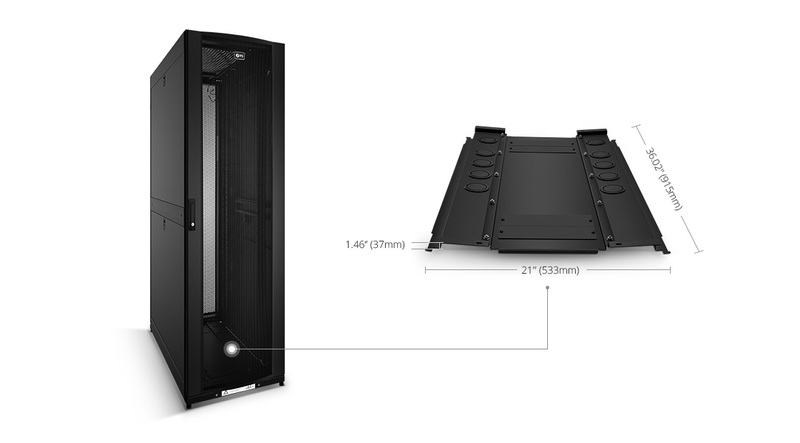 The sturdy bottom panel prevents airflow from entering the cabinet from the bottom, ensures a stable circulation of airflow inside the cabinet. The material of SPCC provides long term durability. Bottom Panel is three-piece design for easy installation. 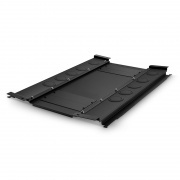 Solid bottom panel with cable openings allows convenient integrated wiring. Your Products are really good! I bought a bottom panel as a spare, so I don't have to wait for transit time when I need it later. The bottom panel is made of three-piece which is easy to install. The quality is also great. I always have faith in the quality of your products. So glad I bought this. Cable openings make my cables pass through the bottom panel. I would highly recommend for the bottom panel. It helps our cabinets keep a stable circulation of airflow. It is very important for us.